Toyota Gazoo racing announced its driver line-up for the 2018/2019 FIA WEC Super Season, confirming Fernando Alonso as one of their drivers in the #8 TS050 Hybrid. Toyota Gazoo Racing has officially submitted its entry to the Automobile Club de l’Ouest and will participate in all eight rounds of the 2018-19 season with two hybrid-powered race cars as it targets victory in the Le Mans 24 Hours and the WEC World Championships. As last season, the team will again utilise its 1,000hp TS050 hybdrid car, which won five of nine races in 2017. Development of hybrid technology remains an integral element of Toyota's participation in endurance racing as part of the company’s commitment to making ever-better road cars. The driver line-ups for the two TS050 hybrid's are now confirmed, with the #7 car competing with an unchanged line-up of Mike Conway, Kamui Kobayashi and José María López.The #8 TS050 hybrid features a revised driver line-up, with Sébastien Buemi and Kazuki Nakajima joined by two-time Formula 1 World Champion Fernando Alonso. Fernando Alonso, 36, will make his LMP1 race debut at Spa-Francorchamps in May and will compete in all rounds of the 2018-19 season which do not conflict with his existing Formula 1 obligations. Alonso has already tested the Toyota TS050 Hybrid at Bahrain last season and made his sportscar debut last weekend in the Daytona 24 Hours with a United Autosports Ligier. McLaren, Alonso's employer in Formula 1 has now allowed him to race in the FIA WEC after reaching agreement with Alonso and Toyota Gazoo Racing. Both McLaren and Fernando are in full agreement that Formula 1 remains their shared top priority. As such, Fernando will compete in every round of the 2018 FIA Formula 1 World Championship, and will dovetail his sports car commitments around grands prix. As a result, he will not contest WEC’s Japanese round, at the Fuji Speedway on October 21, due to it clashing with the US Grand Prix, held at the Circuit of the Americas, in Austin, Texas. Anthony Davidson, who won five races in 2017 alongside Sébastien and Kazuki, will remain an important member of the team, bringing his World Championship-winning experience to a new role as Reserve and Development Driver. Two-time Le Mans winner Alex Wurz will continue as Team Advisor and Ambassador having made a significant contribution since taking the position in 2016. Akio Toyoda, President, Toyota Motor Corporation: "To Fernando Alonso, I say thank you so much for choosing Toyota as a partner for making your Le Mans dream come true. 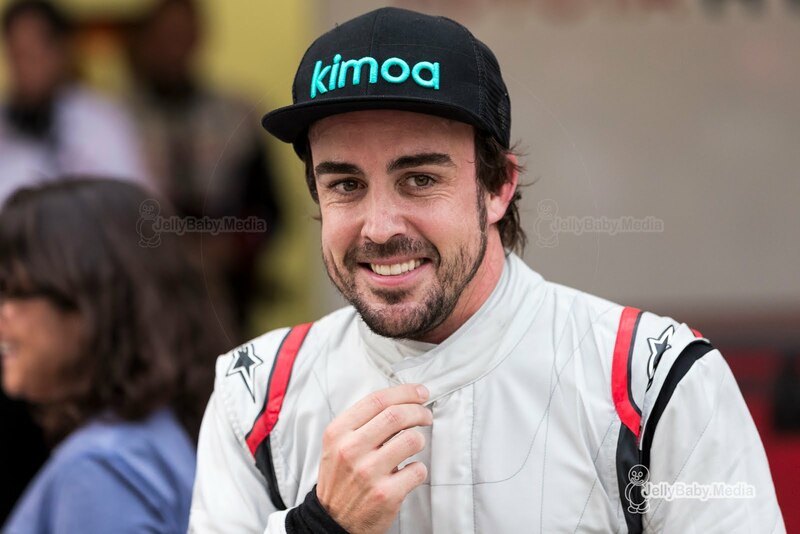 I am extremely thrilled that Fernando, who has battled it out in numerous races and seen things that nobody on our team has ever experienced, will be driving for Toyota Gazoo Racing.I believe that having Fernando get behind the wheel for our team will only make our cars better." "I am looking forward to seeing how much Toyota Gazoo Racing will grow when our drivers and all team members take what they have learned thus far in endurance racing and add to it what they will gain from Fernando’s experience. The entire team is excited about this opportunity for growth. 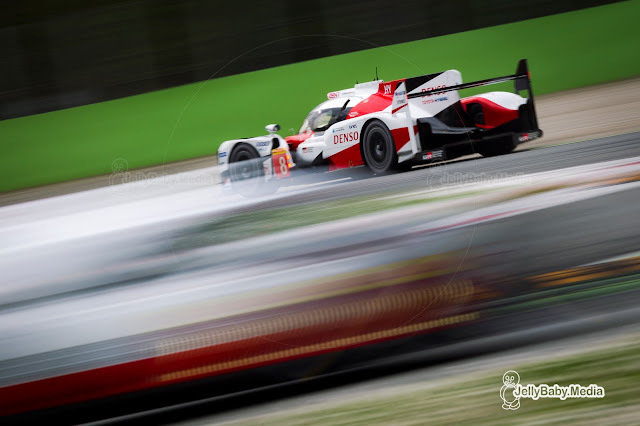 Through the challenge of WEC endurance races and, among those, on the grueling roads of the Le Mans 24 Hours, Toyota Gazoo Racing will do its best, together with Fernando, to outdrive the competition." "And, toward our ultimate aim of providing our customers with ever-better cars, I hope we will be able to race with shared aspirations at heart. We welcome Fernando and, together with Sebastien, Kazuki, Mike, Kamui and José for a total of six drivers, Toyota Gazoo Racing will go all out toward achieving all of our goals. I look forward to everyone’s support of Toyota Gazoo Racing this season as well." “I’ve never been shy about my aim of winning motorsport’s ‘Triple Crown’ – the Monaco Grand Prix, the Indy 500, and the 24 Hours of Le Mans. We tried for Indy last year, came close, but just missed out. This year, I have the chance thanks to McLaren to race for the win at Le Mans. It is a big challenge – much can go wrong – but I am ready, prepared and looking forward to the fight. My deal to race in WEC was only made possible through the good understanding and strong relationship I have with McLaren, and I’m very happy that they listened and understood what this means to me." “It’s no secret that Fernando has wanted to contest the Le Mans 24 Hours. And I think everybody within our organisation appreciates that a motivated, hungry and happy world-class driver such as Fernando is a formidable asset for any team in F1. Last year, we came to the joint decision to go racing with Fernando at the Indy 500 rather than at the Monaco Grand Prix. But we’ve always said that we would consider each opportunity on a case-by-case basis, and we both know that, in 2018, our core priority is success in Formula 1".